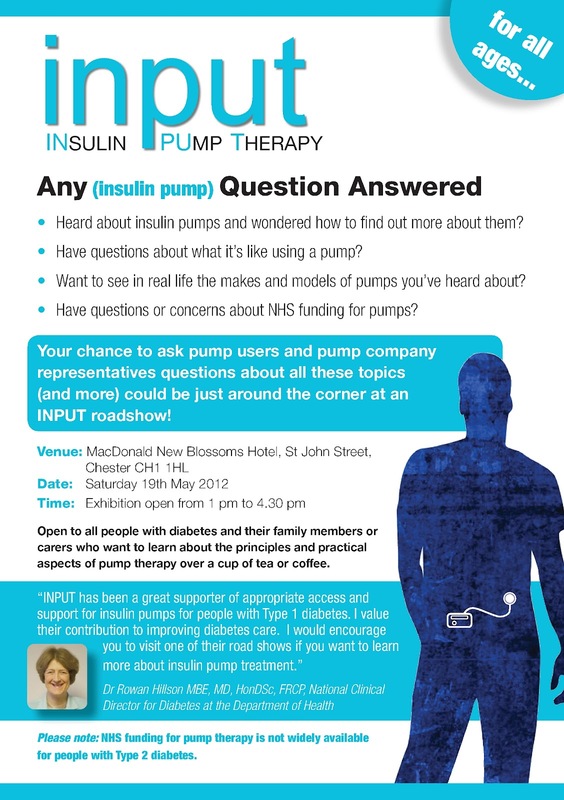 INPUT are holding another of their marvellous insulin pump exhibitions, and this time they’re heading up north to Chester. If you want to know more about what insulin pumps do, see what’s on the market, find out about how to get funding, or just meet some people who use pumps, pop in. I’ll be there, indulging in my favourite pastime of raving about pumps to anyone who’ll listen so come and say hello. We’ll be at the MacDonald New Blossoms Hotel, St John Street, Chester, CH1 1HL between 1pm and 4.30pm this Saturday, 19 May. INPUT will be there with words of widsom about the criteria for getting a pump, there’ll be real life pump users there so you can quiz us about what we do with it when we sleep and all the other niggling questions that come with thinking about pumps. And the top insulin pump companies will be there so you can have a poke and a prod at their wares. If Chester is just too far away from your, fear not, the INPUT team are hitting the road. Their next stop is Nottingham on 14 July. Woo hoo! Hurrah to our chums at INPUT. 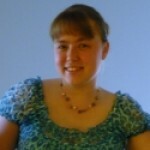 Are you going @alison? Ah, didn’t know whether you were referring to “we” as you and INPUT or “we” as in the Royal we in relation to the diabetic community. In reading that back my enquiry was really quite pointless. Sorry.